To trace your family’s history, get in contact with Hibernia Roots today. Have you ever wanted to find out more about your family's Irish origins and wonder 'how do I trace my family tree in Ireland'? Maybe you have an Irish parent or grandparent who emigrated and you would like to apply for Irish Citizenship? Let us help you find out. Have you started your research? The first thing to do is make notes of what you know and then what you don't know! Talk to older relatives. One of the most important aspects of genealogy is oral and traditional history. So make that call or visit before it is too late. We can provide all you will need to assist you with your Irish Family Tree research. Have a look around our site and when you are ready to come back to us to help guide you on your journey, fill out the assessment form here. We want this to be an enjoyable experience for you where each exciting step takes you closer to your family's origins. There are so many genealogy resources on-line that it can be very intimidating, deciding where to get reliable, verifiable information. At Hibernia Roots, we provide a "one-stop shop". We tailor each report to suit you. Tell us what you want to find out, how far you want us to go and that is what you will get. We have price ranges to suit all pockets. For additional information on our range of Genealogy Services, get in contact with Hibernia Roots today. Hibernia Roots Genealogy Services was established by Noreen Maher MGSI. Noreen is an experienced qualified Genealogist. She holds a Diploma in Family History (Genealogy) and a Certificate in Oral History. 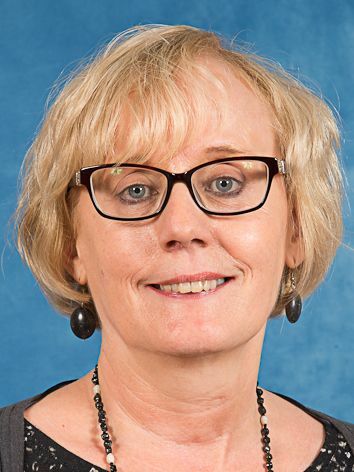 Noreen is also listed as a researcher with the National Archives of Ireland and the National Library of Ireland. She has written a number of articles in journals and magazines. As well as carrying out research, Noreen runs "Tracing your Irish Ancestors" courses and gives talks to groups and clubs. Apart from researching her own family tree back to the early 1700's, (Noreen's roots are in Tipperary and Kilkenny and her husband's ancestors were from Carlow, Wicklow, Louth and Dublin) Noreen has carried out research for clients on family members who were involved in the Irish War of Independence, members of the Royal Irish Constabulary, WW1 British Army, involved in the Boer War after emigrating to New Zealand, and ancestors who emigrated to the United States, Canada and New Zealand. So, with her broad experience she is well-equipped to advise you and research on your behalf. Noreen has seen an increase in demand for her service supporting those who need official certificates and searches to prove their entitlement to apply for Irish Citizenship. She is happy to advise anyone interested in starting the process on the requirements of the Irish Government. There's an old Irish joke: 'There are two types of people in the world, those who are Irish and those who wish they were'! There is a growing interest among the Irish diaspora, in proving their Irish heritage and taking it a step further by obtaining an Irish Passport or Irish Citizenship. This has taken on a new meaning with political and economic changes since 2016 especially the after effects of Brexit in the UK. It is possible if you live outside Ireland and are the child or grandchild of an Irish-born person, to apply on that basis to obtain an Irish passport or Citizenship. It can seem daunting wading through all the requirements and supporting documents needed to be eligible. Hibernia Roots have been successfully providing a consultancy service where we obtain the civil records needed and talk you through the process. Each case is different so we customise our service and our fees to your individual needs. In some cases we make enquiries on your behalf with the Department of Foreign Affairs if necessary. 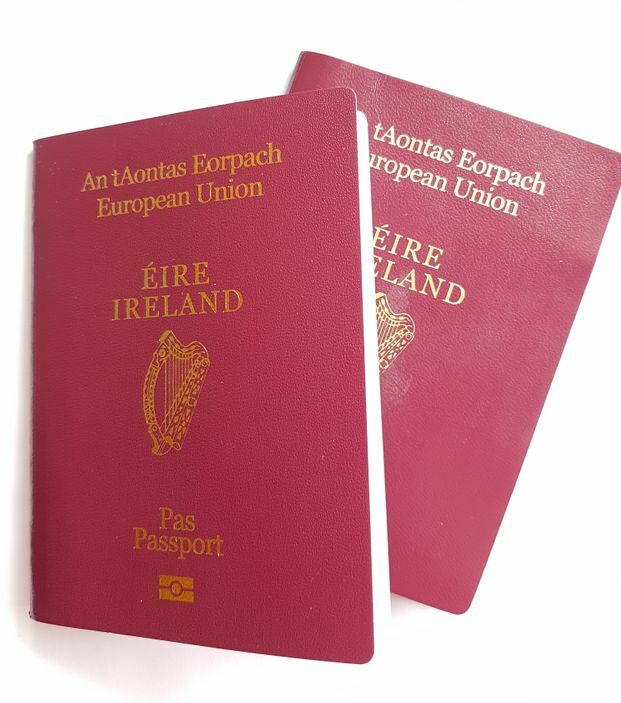 It is possible to have dual citizenship under Irish law. If you are interested in applying and want to know what is involved, email us for a quote. To start with, it is important to know about Irish civil record-keeping and its connection with our troubled Irish history. Civil Registration of marriages became compulsory in 1845 for non-Catholic marriages and full registration of all records for Ireland came into being in 1864 which included Roman Catholic births, marriages and deaths. However, it can be said that not every parish kept meticulous records so the availability of records varies from parish to parish. You may have heard that during the Irish Civil War, in 1922, a fire in the Four Courts in Dublin which housed the Public Records Office, caused an enormous amount of damage and left a gap in records that can never be filled. The majority of the census records from 1821 -1851 perished together with other civil records. Further destruction occurred of census records by government order, for the latter years from 1861 -1891, in error, believing copies had been retained. This of course makes life difficult for researchers in Ireland but we love a challenge! Apart from census and civil records there are a multitude of other sources such as land records, trade directories, and court records to name but a few. We can save you time and money by trawling through all the resources and sources using our tried and tested methods. Contact us today at noreen@hiberniaroots.com or complete the assessment form and get started on the road home! Interested in tracing your family’s lineage? Start by getting in contact with Hibernia Roots today. advance as per Report charges. ‘ I am writing to thank you and commend you on your excellent genealogical work so complete and thorough, beautifully presented to us in a lovely book. Especially for your time spent directly with us in Listowel during our large family reunion. We were presented with new-found relatives with you acting as our ambassador. How great it is to find a dedicated professional in this industry that I trust and enjoy the company of ’.
' I just returned from Ireland where I met my cousins Michael and Richard, thanks to your help. We had a few lovely days and we got to exchange family stories. I visited the grave of my Great Uncle Ned and cousin Paddy whom I met on my first trip to Ireland in 1981. Also the graves of their parents and Great Grandfather, in Glendalough '.
' I received the book this afternoon, Very excited. Thank you for your diligence in continuing to look for more references and accurate connections to our family. For every clue you uncovered it only spawned a greater interest and a desire to learn and know more. I was happy with the results and it was very interesting to read about the research you conducted '.
' Noreen was incredibly professional to deal with and utterly skilled in the final report. Overall it was an incredibly interesting journey, one that could not have been done without Noreen's qualifications and skills in both project management and ancestry research. As a family we are thrilled with the final report on our family story and I am forever grateful to Noreen for all her hard work and dedication '. We offer a free initial assessment so that we can identify whether there is sufficient information to proceed with research resulting in a report. Before we can go ahead on your behalf, we will need some basic information. Let us know what you would like us to find for you. We promise to respect your privacy and that of any living subjects identified through our research. We will only use your personal information to contact you and to provide the services you have requested from us and will not reveal your personal details to any third parties, or the results of our research to any family member, without your written consent. Confidentiality is very important to us. We assure you that every effort is made to store data securely and we will not retain your personal information indefinitely or use it for any other purpose. At all stages, once you give us instructions, we promise to consult you if there are any difficulties in progressing your research. We promise to keep our costs to the minimum and not subject you to any hidden charges. We promise to provide you with a report that will be treasured by your family and future generations. Disclaimer: We take no responsibility for incorrectly transcribed, indexed or manually input data obtained from reliable third party sources, or for records missing in repositories which we believe to exist but are unavailable to access.